BrassNeck Theatre are excited to announce that the award-winning smash hit West End musical Rock of Ages will be our May 2017 production. 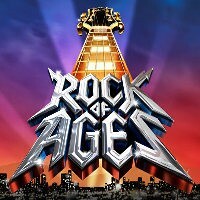 The 1980s themed musical is built around classic rock hits of that decade, especially from the famous ‘glam-rock’ bands of the era. The show tells the story of aspiring rock star (and resident toilet cleaner) Drew who longs to take the stage as the next big thing (and longs for small-town girl Sherri, fresh off the bus from Kansas with stars in her eyes). But the rock and roll fairy-tale is about to end when German developers sweep into town with plans to turn the fabled Strip nightclub into just another capitalist strip mall. We will be looking for a large cast to get in touch with their inner Rock Gods and join our cast! As well as principal roles there are a number of smaller parts and plenty for a company to get involved in. Auditions are expected to take place in summer 2016 – keep an eye on www.brassnecktheatre.com and our facebook page for details.